Microsoft (NASDAQ:MSFT) has always sought an entry point into the mobile market. This is especially true after Google (NASDAQ:GOOG) introduced the Android Mobile OS. Each giant tech company knows that the future of advertising lies in the mobile market and that is why they are trying to advance their own mobile operating system. Microsoft’s intention to acquire Nokia’s mobile hardware division for over seven billion dollars is the company’s latest move towards a greater share of the mobile OS market. Microsoft announced this intention on September 2nd 2013. The Redmond based company considered this move a step in the right direction in respect of an integrated Windows Phone ecosystem. It is important for you to note that Microsoft and Nokia have had a long-standing partnership where Nokia produced a number of mobile devices that run on a Windows Phone platform. The Windows Phone is doing well in the world market. In fact, it is the fastest growing mobile OS in almost all corners of the globe as reported by Kantar Media Panel. Actually, this is one reason why the Microsoft takeover of Nokia’s mobile division could not have come at a better time. Currently, phones manufactured by Nokia make up over eighty-nine percent of the all phones worldwide that run on a Windows Phone platform. This means that Microsoft is getting closer to its dream of realizing total control of both hardware and software production processes when it comes to mobile devices running on a Windows Phone platform. In fact, the brand ‘Microsoft Lumia’ may soon replace the well-known brand, ‘Nokia Lumia’. It is also important to note that the commission of the European Union’s in charge of anti-trust regulation approved Microsoft’s acquisition of Nokia’s mobile division without any preconditions. The EU commission believed that the acquisition would not lead to any monopolistic trends by Microsoft in respect to the mobile OS market. Nokia is a strong brand in Europe. 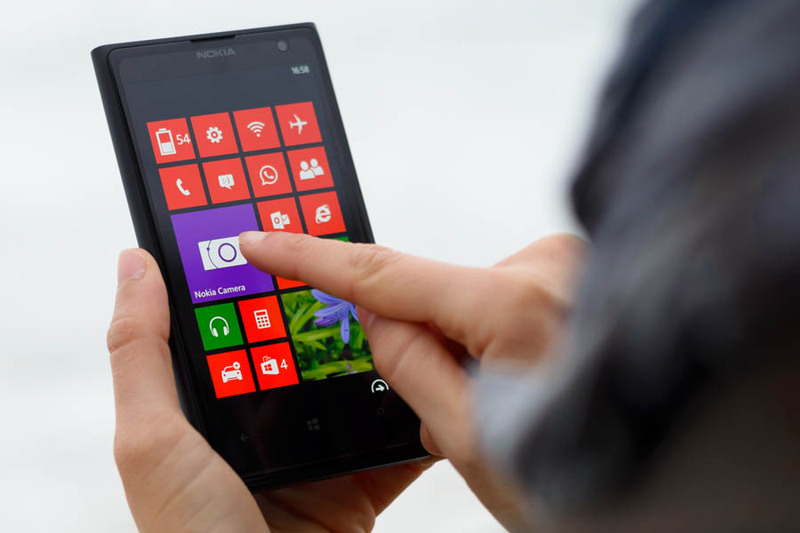 Here, the market share of the Windows Phone rose to ten percent last year as compared to 4.7% in the previous year. The Android also made similar gains. It moved from 61.5% the previous year to nearly seventy percent last year. However, the market was a bit harsh when it came to Apple’s iOS. This mobile OS stood at 18.1% having dropped from 24.6% in the previous year. This drop in market share for the iOS happened because the phones running on it are more expensive than phones running on the other two mobile operating systems. Here is a look at the individual status of the Windows Phone in select European countries. This was the best performing country for the Windows Phone in Europe and possibly, the world. Here, the Windows Phone enjoys a greater chunk of the mobile OS market than both the iOS and the Android. More specifically, the market share for Windows Phone stood at sixteen percent last year up from twelve percent the previous year. Analysts cite a genuine desire by the Italian people to access cheaper communication devices as the main cause of the growing popularity of Windows Phone in Italy. The Windows Phone gained heavily from losses incurred by both the iOS and Blackberry in France. The market share of the Windows Phone rose to nearly thirteen percent all the way up from 4.2 percent in the previous year. The market share of both Blackberry and iOS fell from 4.4% and 23.2% to 2.2% and 4.4% respectively. The exclusion of Symbian in the market also played a significant role in the increasing market share that the Windows Phone enjoyed in France. Please note that the Symbian operating system was the mobile OS system in use before Microsoft took over Nokia. Android and the iOS are still the dominant players in Great Britain. Each operating system has a market share of about fifty-six percent and thirty one percent respectively. The Blackberry also has a relatively strong market share but this market share is eroding quickly. In reality, the only mobile operating systems that are becoming more and more popular are the Android and the Windows Phone. In fact, the Windows Phone made a tremendous jump in the market i.e. from five percent to over ten percent of the entire mobile market in Great Britain. These are all the facts that you need to know about Microsoft’s acquisition of Nokia’s mobile hardware division. As you can now see, Windows Phone makes solid gains on the eve of the Nokia takeover.